In 1940, the Nazis were occupying Austria. 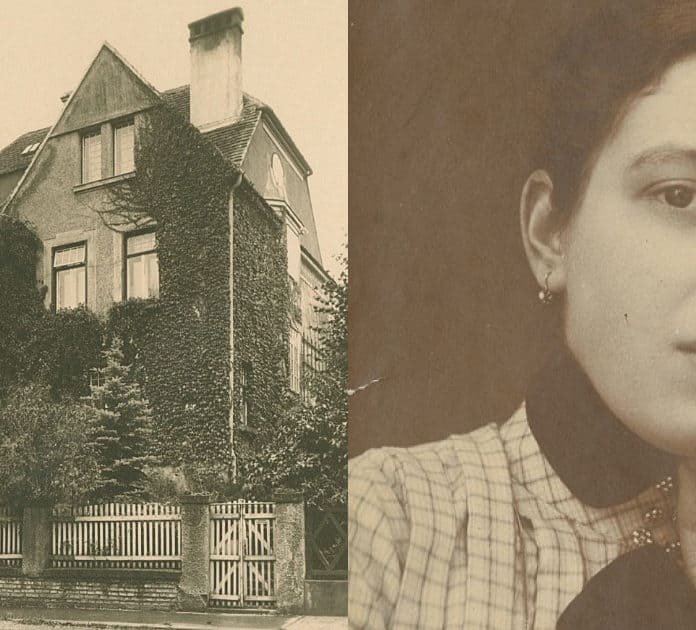 A Jewish woman named Elsa Koditschek lived in a house that she and her husband built in the woods just outside of Vienna. She was a widow, and lived alone comfortably when the Nazis first invaded. Before her husband died, they bought a painting called “Dämmernde Stadt” by Egon Schiele together. It was one of her prized possessions, but it was sold during the chaos when and S.S. Officer and his wife decided to take over the downstairs apartment of her home. Elsa Koditschek spent the next five years hiding with her friends, and eventually even hiding on the third floor of her own home. This incredibly story may have never been revealed to the world if it were not for the stolen Egon Schiele painting, which ended up being worth a fortune. The Koditscheks were married for years, and watched their children grow up, get married, and start their own lives. Siegfried passed away when he was 48 years old, and left Elsa as a widow who never got remarried. She kept herself busy with her friends in town that was a loving and tight-knit community. When the Nazis first began occupying Austria, Elsa Koditschek realized that her house would not be safe if they knew a single Jewish widow was living there. She invited one of her best Christian friends, Sylvia Kosminski to live there by turning the upstairs of the house into a separate apartment. Elsa’s bank account had been seized by the Nazi government, so any money or supplies had to come from the Kosminski family. Even though the villa was massive, Elsa began living in a tiny back room of her house that had once been designated as “the music room”. It only contained her piano, a couch, and a small table and chairs. The “Dämmernde Stadt” painting was hung on the wall. These were the objects that were her most prized possessions, and she didn’t mind if the rest of her furniture was being used by the Christian tenants in the house. In 1940, an S.S. Officer named Herbert Gerbing was working at the Rothschild mansion in Vienna when he was looking for a Jewish property to take over for himself. He found out that Elsa Koditschek had split up the house into apartments, and discovered her living in the music room. Gerbing took pity on her, because she was a 56 years old woman who clearly didn’t pose a threat to anyone. He did not send her to a concentration camp right away. Instead, she was told that she had 14 days to leave the premises and find a new place to live. During that two week time period, Elsa Koditschek started to sell all of her belongings in order to raise as much money as she could. One of the items she could not bear to part with, however, was the Egon Schiele painting. Elsa’s son was living in the United States, and her daughter was in Switzerland, but it was too late for her to run there. Unfortunately, no matter where she tried to run to, she couldn’t manage to leave, because her records showed that she was Jewish. Herbert Gerbing and his wife took over the bottom two floors of Elsa Koditschek’s house, and frequently called her over so that she could teach them how to get certain things to work on the property. She had to be polite to the people who were stealing her house. They allowed Sylvia Kosminski to continue living in third floor, while the Nazi officers lived in the downstairs apartment. After a couple weeks, her time was up. She had been very cooperative with the Nazis up to that point, and begged Herbert Gerbing to give her more time to figure out a new place to emigrate. He refused, giving her the orders to be deported to a Jewish ghetto in Lodz. He told her that it was a wonderful place, but that she would not need to pack very much. She would not have known it at the time, but Lodz became little more than a temporary holding facility for people before they moved on to concentration camps. She knew enough to know not to trust the Nazis when they told her that everything would be fine. Instead of showing up for her required deportation appointment, she visited her Christian friends, the Heinz family, and they agreed to hide her in their house. In retrospect, Elsa wrote to her son that she believed Herbert Gerbing was actually “very kind” for giving her two weeks to leave, and telling her not to pack much. He knew that her belongings were better off in the care of Sylvia Kosminski, and in the end, it saved her from losing absolutely everything.